We had to revise the figures for new NRA members recruited, because Dustin of Dustin’s Gun Blog managed to recruit a whopping 44 NRA members on his own that he didn’t know about until he checked his recruiting stats with NRA. That’s great work. Justin increased his voice in the gun rights movement 44 times! I also think it’s important to note that even though Dustin boosted the number to a crazy high, he was still responsible for less than half of the total. So kudos to everyone! And well done, Bitter and Sebastian, for driving this! Thanks, I’m glad our efforts were so successful! 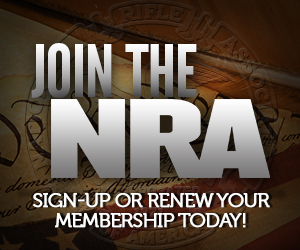 Now we have over 90 new members to join us in our fight against the most anti-gun President in the History of the United States! No voice was increased or decreased. You can scream at the top of your lungs and flail about, but if the person you’re talking to is deaf and looking away it does nothing. See previous posts about membership being the source of NRA’s political power. If they have 6 million NRA members behind them as opposed to 3 or 4 million, their ability to twist a politician’s arm is that much greater. The study Dave Kopel did showed NRA can influence a 3% swing per 10,000 members in a given district. That’ 5% for challengers. So for a district with 20,000 NRA members, that’s a 10% swing. That is a substantial threat to any politician’s seat.